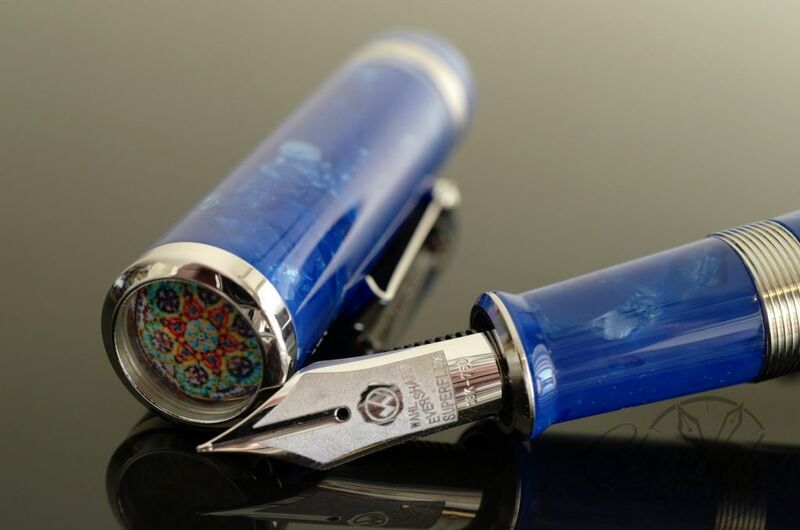 Pelikan launches another Special Edition. This Special Edition of the Souverän 600 is a perfect gift – either for yourself or someone special in your life. The traditional silhouette of the Souverän creates a nice contrast to the bold turquoise stripes. Sometimes, it‘s possible to have the best of two worlds. 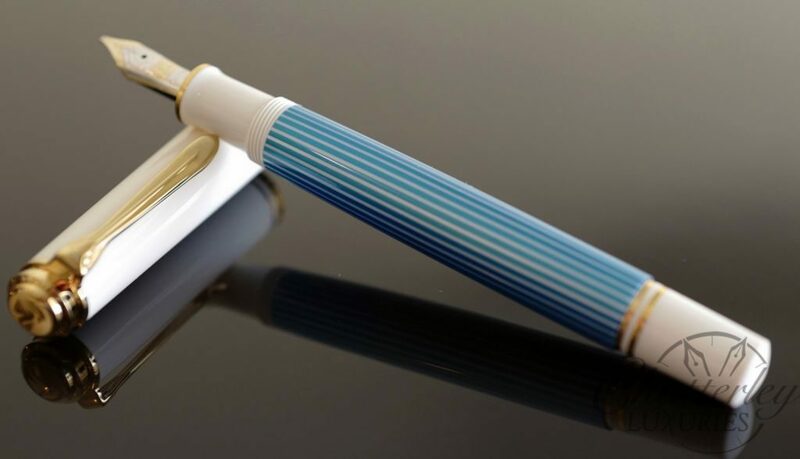 The series 600 turquoise has the typical Pelikan characteristics: The white parts are made of high-quality resin that is first turned and then polished to a high sheen. For the typical stripes in the non-typical color, cellulose acetate was carefully manufactured and turned into a sleeve. The clip and all rings are plated with 24 carat gold. The fountain pen has a 14 carat two-tone gold nib with rhodium trim and will be available in the sizes M and B. 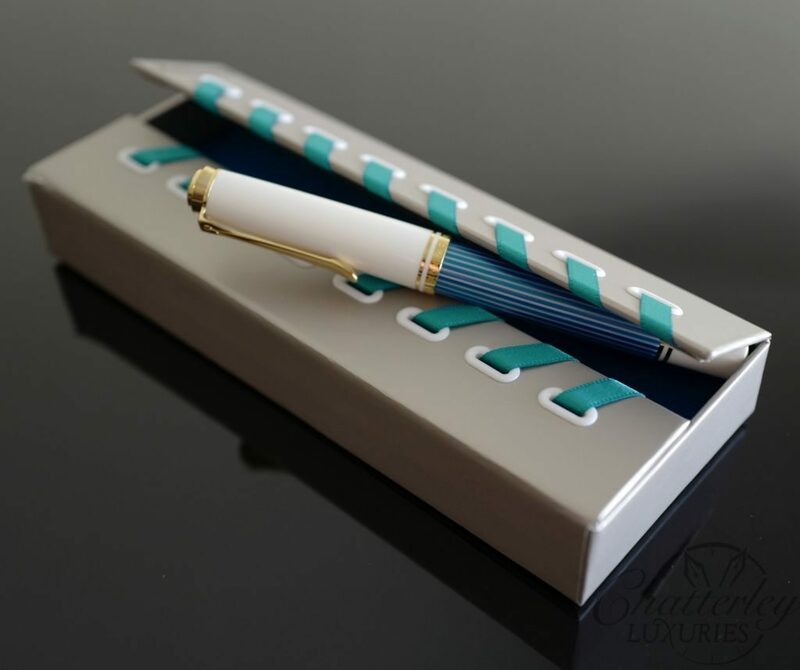 The 600 turquoise is encased in a special gift box that’s a perfect fit – it’s charming and unusual!